If you want to discover cute cafes in Paris that are off the beaten path, you can find them in our Paris Museums Guide! 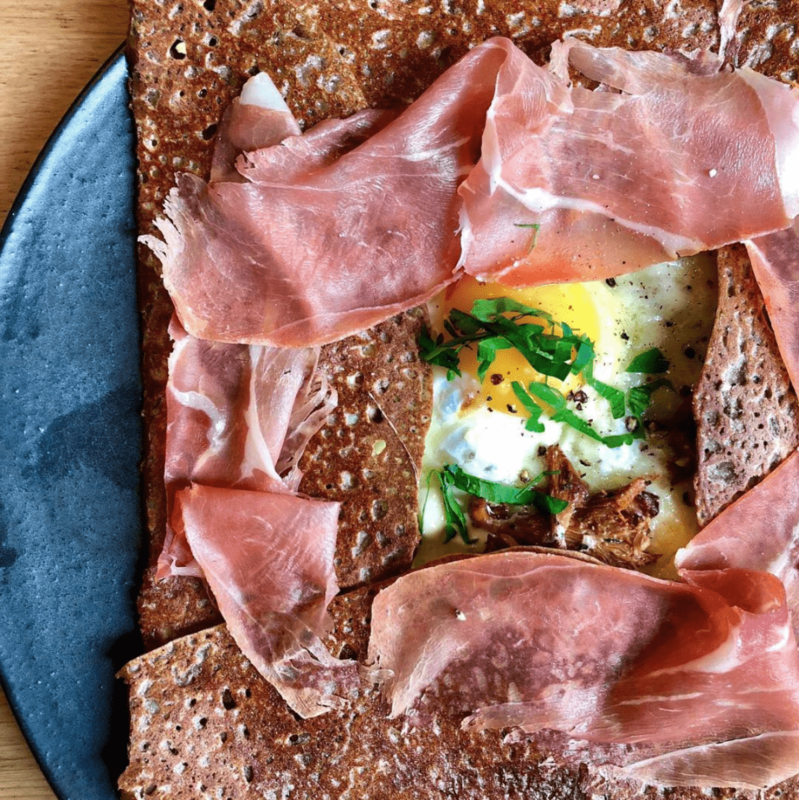 Looking for the best crêperies in Paris? Look no further! We have gathered where you can go for the best crêpes in Paris (without having to travel to Brittany,) right here! At Breizh Café you can have a an affordable crêpe feast of a savory crêpe, sweet crêpe (sugar, chocolate…) and cider for about 20€/ person. You can also enjoy unusual ingredients in their savory crêpes, an unique find for crêpes. Checkout their website for more information. In the hub for crêperies in Paris, head to Crêperie Josselin in the Montparnasse area! This restaurant is traditional crêperie from its decor to its authentic Breton-style buttery crêpes. Enjoy a fun mix of traditional and modern in an inviting restaurant setting at GiGi! Their extensive menu of both sweet and savory crêpes and beverages such as hot chocolate and mulled wine will not disappoint. While not a traditional crêperie, Krugen is a great modern crêperie in Paris that serves crêpes with ingredients coming directly from Breton.